Productivity apps Docs and Sheets, Google’s free answer to the Microsoft Office suite, are now available for free download for iOS and Android mobile devices, the company announced today. The new apps allow you to create new documents and spreadsheets, and edit those you’ve already created and stored on the web via Google Drive. Both offer collaboration features, auto-save, an offline mode and other basic features you’ll need to make quick changes to docs on the fly. Over the last year, we’ve seen a proliferation of Word and Excel-like productivity apps made available on mobile devices. 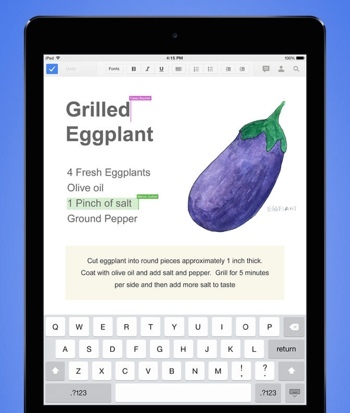 Microsoft recently made its Office suite available for iPad users, though a $69.99 per year subscription to Office 365 is required for making edits. Apple’s iWork for iCloud apps such as Pages and Numbers are free for those who purchase a new iOS device, but us owners of older Apple devices still need to pay $9.99 per app. Google’s mobile productivity suite is, thus far, the only one that’s truly free for all. For more on choosing the right office productivity suite, check out this side-by-side-by-side Google Docs, iWork for iCloud and Microsoft Office comparison.